Elaine has always taken care of others. But when her son’s illness prevented her from maintaining employment, she became homeless. Now she takes care of herself through her true love of art. At Father Joe’s Villages, Elaine began to heal from the trauma and stress of her personal life and mental health issues. She accessed many programs at Father Joe’s Villages, including Chaplaincy Services, Mental Health Services and Employment & Education Services. 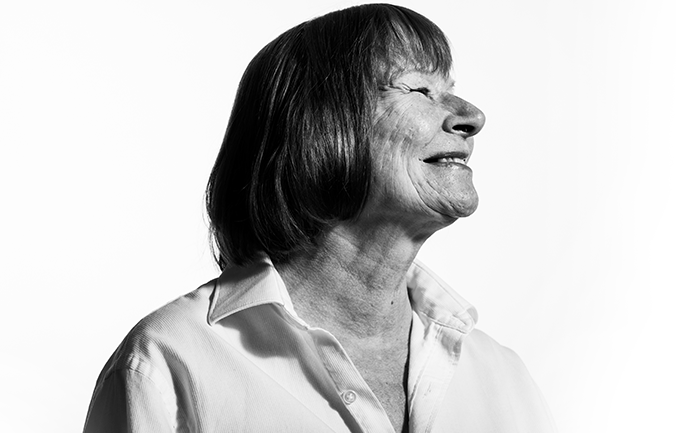 After some time in the PMC “building her self-esteem and strong self-preservation,” Elaine entered a Permanent Supportive Housing program. She now has a home of her own in Cypress apartments and has maintained permanent housing for six months. She and the other tenants at Cypress receive regular support from two Father Joe’s Villages’ Tenant Services Coordinators whose job it is to help people in the building maintain housing stability. 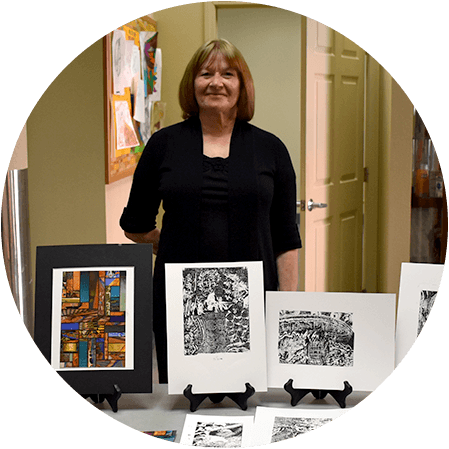 Elaine has recommitted to her art and currently makes monoprints—painting on glass and then making a print on paper. “I’ve always done art and loved it, but didn’t have the discipline.” Now, she’s working on marketing her work to local galleries and selling prints in local businesses. Two of her pieces are being printed as cards for Second Story Cards in Washington, DC and she’s currently working as an illustrator for a children’s book by a local writer. She’s also been asked to host a weekly art workshop for her apartment complex.